Englewood High School is excited to announce a new partnership with DriveSafe Driving Schools! 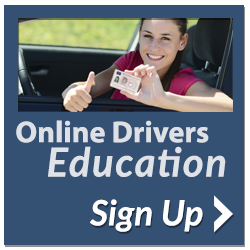 Get started on your road to driving with our affordable Online Driver’s Ed Course, and raise funds for our school at the same time! Our approved course is 100% online and is self-paced. View it on any device, anytime. The course has easy to follow lessons and is fully interactive with animations, games and videos. State law requires that all 14 ½ to 15 ½ year-olds take a driver’s education course and pass a permit test to get their driver’s permit. Why not enroll in this online course and help raise funds for our school? Sign up now! For those interested in the taking the 30-hour course in person, click here to enroll or call 303-721-8881.